It’s been a good challenge for me to sit down and consciously think about how I pray. I certainly didn’t intend for the series to last so long! I hope that some of my insight, experiential knowledge, or simple steps have helped you and lifted some of the mystery of prayer. The Holy Spirit will direct your path. Ask Him for help, after all, He is called the Teacher (John 14:26). This post is a part of a series on different types of prayer. Click here to read the rest of the series. In my limited experience, I have learned that listening is the most important part of this kind of prayer. We must not assume we know God’s will on a matter (unless clearly defined in Scripture) because then we can twist our prayer to suit our own motives or misconceptions. Rather, before I even begin to intercede, I ask the Holy Spirit several questions about the person/situation. I ask for certain scriptures to pray, what God thinks of them/the situation, what my position is to be, etc. Then I can intercede with authority because I know I am in alignment with God’s heart. Beyond receiving direction from the Lord on how to pray, there’s really no formula for intercession. It can be practiced as a two-word prayer, internally as you’re going about monotonous tasks, or very focused in a prayer room. It can last two seconds or several hours. The goal is not the quantity of time or amount of words — as I said before, many words encourage distractions — but instead praying in alignment with God’s will. It is when we pray God’s will that we see our prayers answered. Please know that just because you have direction from the Lord on how to pray, it does not mean He will answer right away. In my post on Luke 11, I went into depth on the importance of persistence in prayer. Something I learned at IHOP is how important it is to pray positive prayers. All of the apostles’ prayers in the Bible are positive, praying for what would be in the churches instead of focusing on their weaknesses. (While on the subject, apostolic prayers are great tools for intercession. A list of them can be downloaded here.) It is vital to keep our focus on God in our prayers. In Luke 11, the man that needed bread didn’t pray against the lack, he went to his friend with the bread. A couple weeks ago, a young married couple asked me to pray for them. I didn’t know what they needed prayer for, but I spent about 3 hours asking questions and interceding for them before I went to their house. After I spent only 15 minutes praying for them, I could see fresh hope in their eyes. The Lord had spoken to me and used me to encourage them — and I was just as encouraged to know that I hear from God! I’ve left the most complex subject for last. I’m timid about defining intercession for three reasons: a) people I respect disagree with my definition, b) hundreds of thousands of intercessors have gone before me and must know much more than I, and c) because there is so much to be said. But the rule is that I speak from my own experience, so here is my humble definition. The simplest definition is this: intercession is praying for others. (The dictionary definition of intercession is “the action of intervening on the behalf of another.”) I like to tag on to that definition that it is taking a position between God and man — partnering with God’s heart for anything outside of yourself and asking Him to bring His purposes to pass. I can’t move on from “what is it?” without addressing why I think the intercessors are the most burnt-out part of the Church. We must have a foundation of who God is and who we are before Him before we begin to seriously intercede. If we do not, we begin to strive and look to man for validation of what we are doing. I wrote about my experience of finding my identity before God in prayer in my series on enjoyable prayer (which can be found here, here, and here). Then Moses pleaded with the Lord his God and said, ‘Lord, why does Your wrath burn hot against Your people whom You have brought out of the land of Egypt with great power and with a mighty hand? Why should the Egyptians speak and say, ‘He brought them out to harm them, to kill them in the mountains, and to consume them from the face of the earth’? Turn from Your fierce wrath and relent from this harm to Your people. God has given us an unprecedented dignity in our prayers: even to the point of changing His mind. In my next post, I’ll cover some practical ways to intercede, as well as some encouragement of the fruit of intercession that I have seen in my own life. I’m not here to talk about the Eucharist, though that’s a good form of communion too. The word “communion” simply means sharing something in intimate fellowship/friendship. The kind of communion I am talking about is the internal relationship we have with the Holy Spirit. Why do it? Well firstly, it is repeated over and over that Jesus communed with the Spirit (Luke 4:1, 10:21, John 1:33, etc.). I also find it interesting how much Jesus stressed abiding with the Spirit right before He went to the cross (read John 14-16). In my own life, I find that the more I focus on communing with the Spirit on a moment-by-moment basis, the less I sin: I make better decisions because I follow His leading and I am generally more joyful as I remember God is walking with me throughout all my circumstances. Jesus said the Father would give the Holy Spirit to His children if we ask (Luke 11:13). I don’t have bullet-points for this type of prayer, just suggestions. Try to develop an awareness of the Spirit within you all the time. You may have been consumed with the natural all day and then all of the sudden remember about Him — that’s great! Talk to Him internally when that happens. If you’re stressed out, thank Him for who He is (e.g. 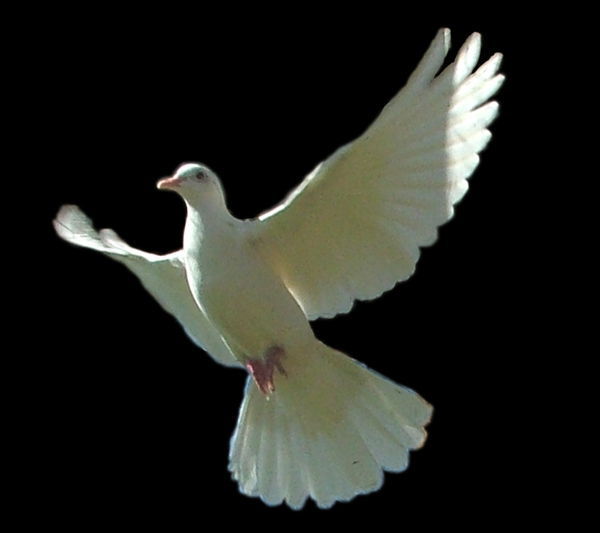 “Thank you Holy Spirit for your peace”). As I’ve progressed in this, I find that I can have a normal conversation with someone and be consciously adoring the Lord and as I have to make small decisions, I ask Him what I should do. Sometimes He gives me specific direction, other times I know that that it is my choice. Contemplative prayer is really something that must be experienced. It is near impossible to describe as it is communing with God through your spirit (and everyone goes about this a little differently). The basic idea is this: it is a selfless prayer — a prayer that focuses on ministering to God and Him alone. It is giving back to Him because He has given so much to us. Contemplative prayer is a prayer of the spirit. God is a spirit being, so it follows that He is to be loved in spirit. Although you may receive what the mystics called “favors” (visions, etc.) from the Lord, don’t expect them. Sometimes I come out of contemplative prayer feeling so in love and I don’t know why, I just feel full and like I’m walking on air. Other times I feel more dry than ever. I have practiced contemplative prayer in a prayer room, but I think it is most effective in solitude. I like to play soft music or have complete silence. 1. Start with reading the Bible and worshiping. Take this time to write down your thoughts and quiet your soul before the Lord. 2. Find a scripture of adoration (i.e. that makes you love the Lord). 3. 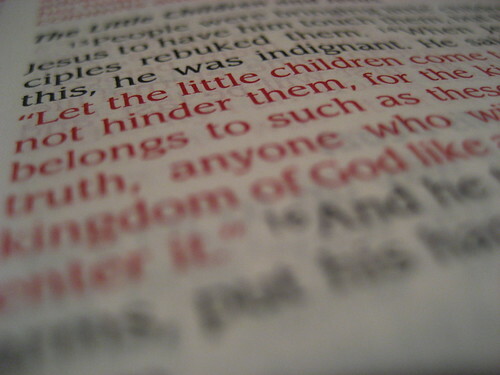 Softly repeat the phrase of scripture internally. Seek a connection with Holy Spirit in this. 4. Say the phrase until you feel a distinct “in love” feeling. 5. With no words, remain in that “loving on the Lord” place as long as you can (try to start with 20 minutes). If you get distracted in this process, go back to repeating the scripture. If you fall asleep, just continue where you left off. 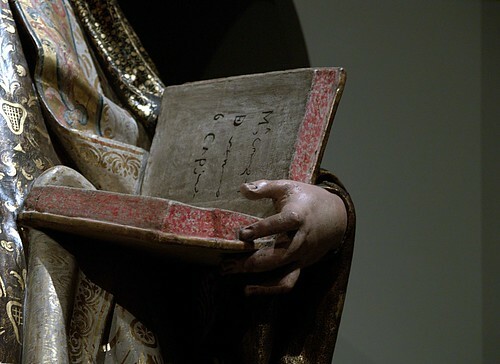 It is important to begin with a scripture because of the mystical nature of contemplative prayer. Otherwise, it is possible to get involved in nihilism (extreme skepticism maintaining that nothing in the world has real existence) and other things. You can use mental imagery when you contemplate, but the mystics consider this a “lesser” form of prayer because God cannot be contained in any imagery and His majesty cannot be given justice through what we know in our heads. I think imagery is a fine place to start, but – in my opinion – it’s good to get to the place where we are able to stare into “the cloud of unknowing” without imagery props. There’s something very special about waiting prayer. When practiced with the right motives, it can become the core of your prayer life — and a very important part at that. Waiting prayer is taking time to be still before the Lord. This concept is repeated over and over again in Scripture (Ps. 25:5, 25:21, 27:14, 37:7, 37:9, 39:7, 62:5, 130:5; Isa. 40:31; Lam. 3:25-26; Hos. 12:6 — to name a few). When you quiet your soul and focus on the Lord, you are expectant. You let Him love you as you worship Him and you expect that He will reveal Himself to you. If you’re not used to internal prayer, waiting prayer is a great place to start. The more you wait on the Lord, the more sensitive you become to the Holy Spirit. You may feel nothing — in fact, for a while, I can almost guarantee you that you will feel nothing — but the simple act of quieting your soul before God will inevitably cause you to sense Him more. Waiting prayer can be practiced in a prayer room or in your bedroom. Just be somewhere that you’re not likely to be interrupted. Start with worshiping God — out loud or internally — and read the Word. Then just wait. Don’t ask questions, try not to get distracted — just wait. Honestly, even though I’ve been doing this for 2 years, it often takes a half hour for my soul to quiet down so I can hear the Holy Spirit’s voice clearly. We get so busy during the day that it takes us a while to slow down. Start with a few minutes at a time. If you fall asleep, just pick up where you left off; there’s no shame in that. You will soon find that you want to wait on the Lord longer and longer because His presence is so addicting. Jaeson Ma, a campus revivalist, has posted his “Waiting Prayer” chapter from his book on his blog — it is an excellent description and includes his own personal testimony. While Eastern meditation attempts to empty the mind, this kind of meditation is an attempt to consume it with God. Biblical meditation is setting yourself before the Lord to receive revelation from His Word. The purpose is to receive more of the knowledge of God. Proverbs 2:1-5 says how to get the knowledge of God and this is the first step: receiving God’s words and treasuring His commands. Pick a verse you want to meditate on (or a portion of Scripture you want to take a few weeks to go through). Begin to meditate on the first phrase of the first verse (e.g. if the phrase is “In the beginning God created the heavens and the earth,” try just meditating on “In the beginning”). Repeat the phrase over and over. Thank the Holy Spirit for the truth of the verse (e.g. “Thank you that You were in the beginning”). Ask questions – lots of questions. Write down any answers you get. Meditate for 20 minutes before you move on to the next part of the verse. Once you get the hang of it, try going for 2 hours on one phrase. It may seem impossible at first, but it’s amazing how long you can stay on one phrase when the Holy Spirit is speaking! 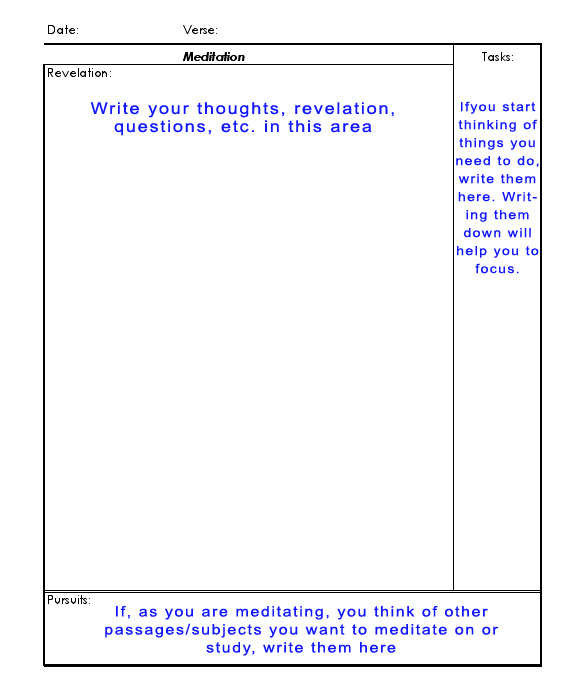 I’ve made my meditation page available for download here. I want to get a huge factor out of the way before I continue this series on prayer: distraction. Humans are weak — I live in a community of people who pray for a living and this issue comes up over and over again. We live such fast-paced lives (internally and externally) that when we try to sit and focus on an invisible God, we understandably get distracted by the smallest thing. But there is hope! I’ve been in a prayer room for a minimum of 25 hours a week for the past 2 1/2 years and I have definitely progressed in the distraction area (though I’m far from conquering it). There are many ways to stay focused in prayer — I won’t go into them now, but be encouraged that distraction is perfectly normal and nothing to be frustrated about.